From the historic stage of the Roundhouse to audiences around the globe, iTunes Festival brings together the biggest names in music for 30 days of incredible, unexpected, and exhilarating performances. Wherever you are, you can experience the festival for free on iTunes or with Apple TV. Refreshed design. 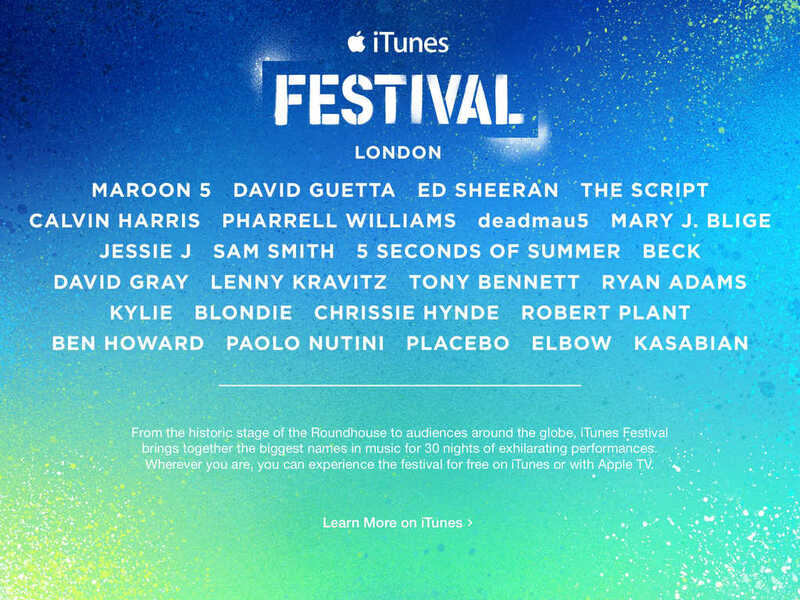 Updated with information about the 2014 iTunes Festival in London.